Description: The civil and mercantile flag of Spain. 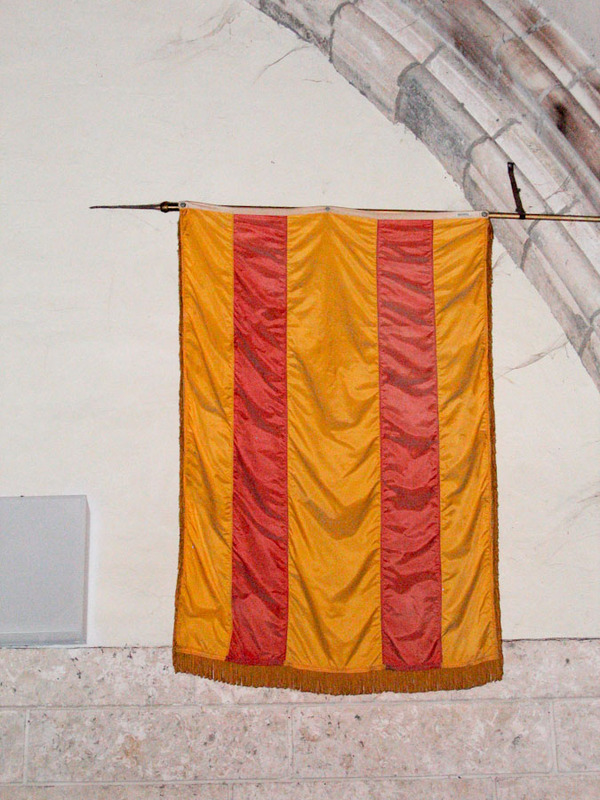 These flags were flown by ships so that it was known that the ships were civilian and not military. They were more common in the past and usually resemble the national flag, but do not have the coat of arms such as pictured here. TIFF File: A high resolution TIFF of Civil and Mercantile Flag of Spain (28.9 Mb) is available for download. This is a very large file suitable for printing. For most on-screen purposes, you should use the image displayed on this page instead of this TIFF.